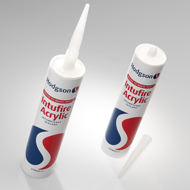 At Hamilton’s we stock various types of mastic from silicone sealant to decorators caulk, mirror adhesive and intufire intumescent sealant, among others. 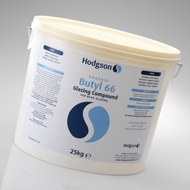 Putty has been used extensively in glazing for fixing and sealing panes of glass to wooden and metal frames, although it use has decreased with the prevalence of PVC, which typically uses synthetic sealants such as silicone. Glazing putty is traditionally made by mixing a base of whiting (finely ground chalk) with linseed oil. There are a number of synthetic alternatives such as polybutene based puttie, where polybutene replaces the linseed il, butyl rubber is also added to the mixture to provide strength and flexibility. 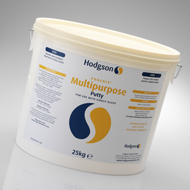 At Hamilton Glass Products we stock various types of putty, it is easy to use and can be painted over.